Introduction – Soft power implies the ability to affect and alter decision making through discussion, view, suggestion, settlement etc whereas Hard power suggests a sort of coercive attitude to get things done. In today’s globalized world where almost all countries are sovereign in their sphere be it economical or political the more efficient of them are utilizing their soft and hard power to mould conditions according to their requirement. At the individual level, we see individuals competing with each other from childhood to adulthood in schools, colleges, jobs, businesses etc. The soft power at individual level will comprise elements like friendship, honesty, compassion, altruism, love affection etc. Where as hard power will constitute of hard work, level of education, physical competence, mental strength financial strength etc. At the organizational level, soft power comprises organizational ethics, effective communication, public credibility etc. Where as hard power has business links, political connections, financial and commercial strength, variability of operations etc. 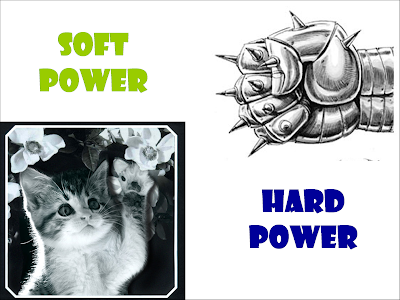 At the national and global level is this concept of soft and hard power most talked about? There are presently more than 190 countries in the world and all of them are competing to have an advantage. The most powerful of them like the U.S.A, Russia, China etc. are deploying their soft and hard power vigorously to gain advantage. 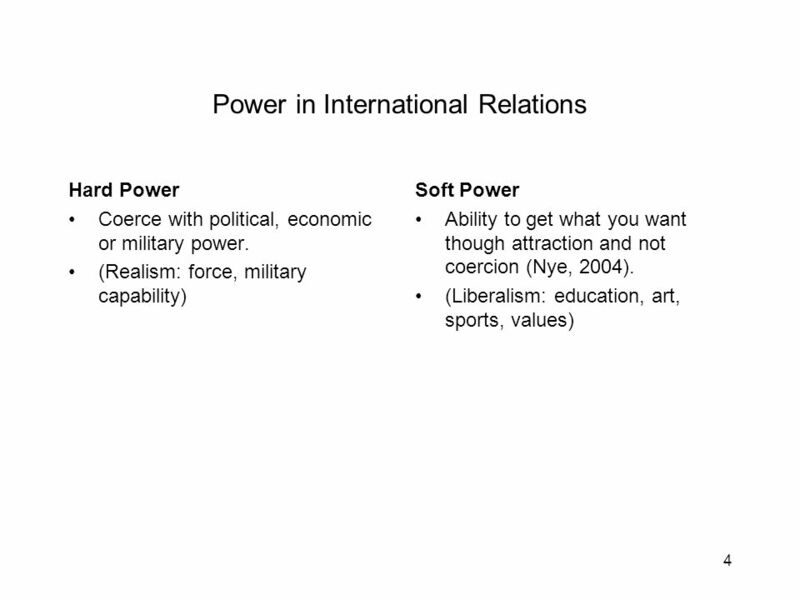 Manifestation of soft power at National / Global level- Countries have been using the negotiating table of the World Trade Organization, United Nations Organization, International Monetary Fund etc to enforce these opinions. 1. United States filing a case against India in WTO with respect to the Domestic constant Requirement in its Solar Energy Mission. 2. United States Trade representative pressurizing Indian Government not to resort to Compulsory Licensing Provision of TRIPS (Trade related Intellectual Property Right) Agreement. 3. China blocking India’s entry into Nuclear Suppliers Group. 4. India delaying the implementation of Trade Facilitation Agreement (TFA) in Goods and calling for a TFA in Service sector. 5. India exercising its soft power globally though one of the largest Non Resident Indians communities spread all over the World just what Isreal has been doing with the U.S.A through its influential Jewish community. Manifestation of Hard Power at Global Level – This has been done by economically, militarily and politically powerful countries for e.g. 1. China implementing its ‘One Road One Belt’ strategy to develop its western provinces and to counter U.S.A ‘Pivot to Asia’ strategy. China has been able to do that through its hard economic powers of trillions of dollars of foreign reserves. 2. India building its own naval base in Assumption Island and planning to open more armed bases globally. 3. Nuclear armed powers like Pakistan, India, U.K, U.S.A, Russia are hard powers as it has become almost impossible to intimidate them. Also small and under developed countries like North Korea are being counted under the definition of hard power. This has led to restrictive attitude of India and South Korea when dealing with Pakistan and North Korea respectively. 4. Turkey shooting down Russian air plane and bluntly defying Russia with back-end support from NATO allies. 5. Increasing GDP’s of fastest growing economies like India, China, Saudi Arabia etc. have increased their defense spending with India becoming the largest arms importer. So with above examples we can see that hard power at the global level is mainly associated with two elements - Economic prowess and Military capability(which includes Army, Navy, Air and Nuclear Arsenal) However this swift propagation of hard power has posed very serious dangers to national and global security. 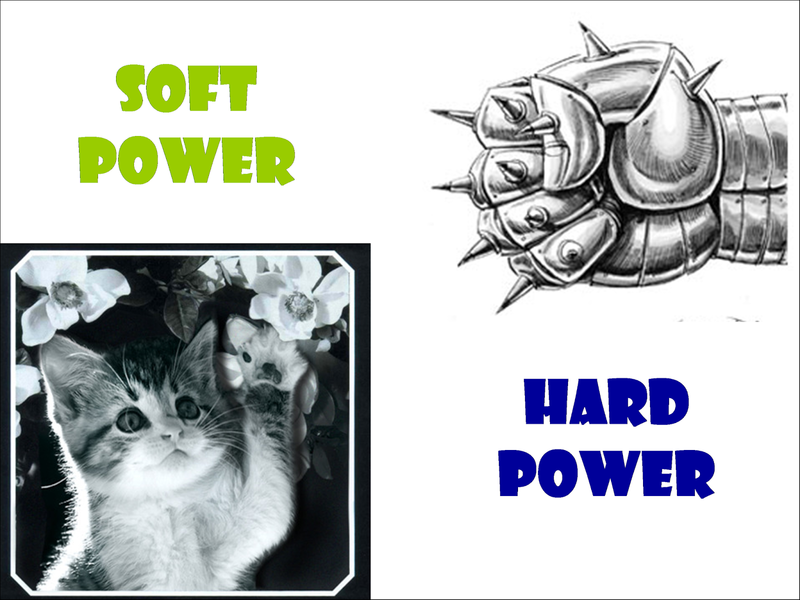 Problems Associated with the use of Soft Power and Hard Power - With the growing use of soft and hard power many problems have cropped up. In India due to coalition politics states have started putting their regional demands obstinately without giving due regard to national interest. Also their increased numbers in the legislature has slowed down the pace of work. Also we can deduce though the recent intelligence because reports that the NGO’s operating in India are deliberating stalling environmental and progressive projects through the use of their soft power. At the international level we can see events like Yemen war, Syria crises etc. In the Yemen war Saudi Arabia is using its hard power to crush the Houthi Rebels through force. Also in Iraq and Syria Islamic state is casting a reign of terror which is still going on and no consolidated action is taken as all major powers like Turkey, U.S.A , Russia, Kurds have their own interest and post war versions. This has resulted in one of the biggest exodus of refuges from the Syrian neighborhood to European Countries through the Mediterranean Sea. Way Forward when using soft power and hard power – The practice of soft and hard power in international matters should be regulated and controlled and the responsibility has to be taken by the developing third world countries. With upcoming multilateral organization like the Regional Comprehensive Economic Partnership, the Trans Pacific Partnership, the Trans Atlantic Trade and Investment Partnership can play a major role in containing the coercive tendencies of single nations. All arms control agreements like Wassennar Agreement, Missile Technology Control Group, Australia Group, Pelindaba treaty and Nuclear Suppliers Group have the potential to make the world multipolar rather than unipolar. Also the recent reformation of International Monetary Fund governing body is a step in the right direction. Conclusion – Regulated use of soft power is not bad as it has the potential to promote mutual and inclusive development. However with above examples we can see that all soft power rests on the economic, defense and political power of a nation. So unless a nation is capable enough to enforce its influence in a hard way, it is highly unlikely that any important consideration would be given to its exercise of soft power.